In 2015 Britains introduced David Brown replica vintage tractors to their collection, continuing their support with small businesses - from the past and present. 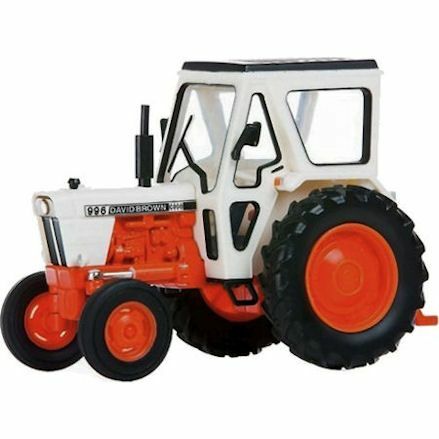 Controlled by David Brown since 1904, they began designing and manufacturing tractors, and jointly built the first Ferguson-Brown tractor. They then become one of the world's biggest tractor producers after world war two. But as the company stopped producing in 1993 - they are classed as vintage - and so are these vintage toy tractors. 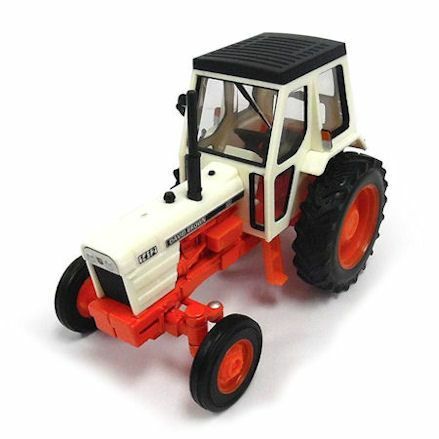 Now, Britains have brought back these old tractors in 1:32 scale, made in die-cast metal with plastic parts and hard rubberised tires with suspension and steering. This old workhorse can still do the odd jobs around the farm with a functional rear hitch, removable driver's cabin, exceptional detail and bares the David Brown logo. 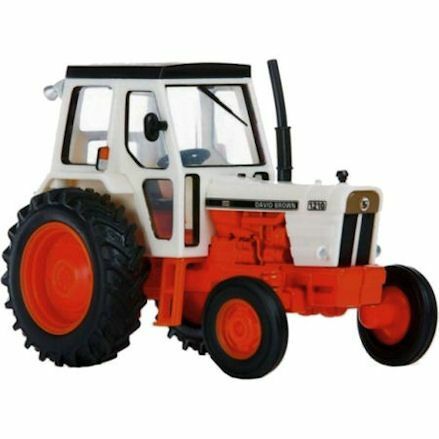 Britains David Brown tractors were released from mid to late 2015 and been available since, and though the series has since been retired, they will always be available. But be aware, this small collection could be discontinued in due course, before Britains release their next set of models from past and recent small manufacturers. 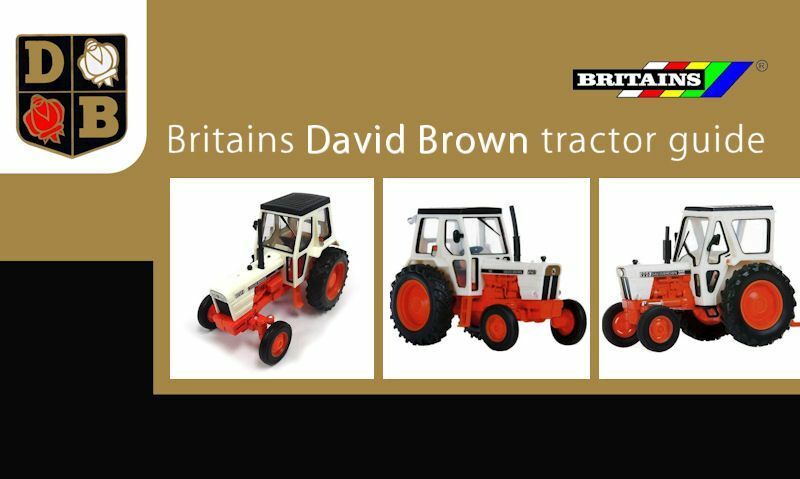 This Britains David Brown tractor is their latest addition, released in 2016 and available since. But as with the real thing, it captures every detail on this vintage model which is made in die-cast, interior cabin features, exterior decor and a tow hitch. This 1210 model was jointly released with the 996 and this one can be tell apart from the slightly larger driver's cab. But as ever it has a detachable enclosed cab, engine detail, decor detail, front wheel steering, rear 3-point hitch and free rolling wheels. To distinguish this model from the collection, you only need to look at the front side window for it's smaller design. Still, it's jam-packed with interior and outer detail, with a replica driver's cabin, steering, rear hitch, rolling wheels with tyre tread design.